In this edition of Horse International we would like to discuss with our readership the risks and liabilities that may be triggered by your horses participation at equestrian events. 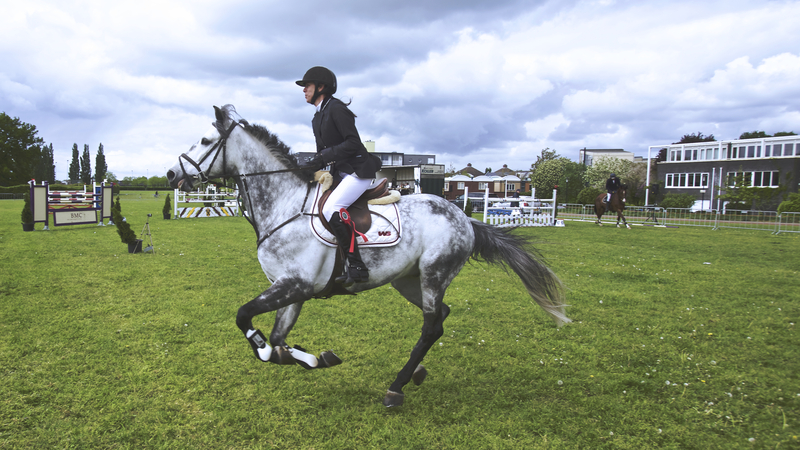 Equestrian competitions, horse shows and other equestrian events are almost always events that attract large numbers of visitors that have come to enjoy the ambiance and the high calibre of horses being shown. Accidents do not occur often during these events, which as such is quite remarkable when taking into account that these events involve live animals with their own unpredictable energy and independent behaviour. But imagine you have to deal with that one unique situation when something does happen; an accident or an incident occurs. Have you ever thought about the rights and obligations arising in connection with such a situation? Enthusiastic as you are about the horse you have bred, you decide to take part in a studbook or stallion show. Being presented to the jury, your horse makes an unfortunate move and steps on an iron pin that apparently found it’s way to the showground. The accident results in serious injury to the horse and the question is whether the horse will ever recover to full fitness. In the meantime, you have to pay colossal vet costs as the invoices from your vet keep on coming in. The envisioned goal of your horse’s participation in the show has not been realized and has gone with the wind. No future proceeds out of a sale of the approved stallion. Nothing. Now, who is responsible for this situation and can we hold anybody liable for the damages you suffer? The first thought might be the organization of the event, as the showground they prepared for the show contained an iron pin and caused a dangerous situation, in particular to your horse that was injured, but also to other horses that participated in the event. In such a case, most likely the organization will try to invoke the so-called exoneration clause (exclusion and/or limitation of liability) that most probably was imposed on you via the general terms and conditions (the small print) of the event on the very moment you decided to register your horse for the event. By means of the exoneration clause, the organization of the event will try to evade all and any liability for any damages the participants may suffer due to their participation in the event. -In such a case you might have to face the damages yourself. The bottom line is that you cannot recover the damages from the organization of the event for their liability is limited to a very small amount. It is important to note, though, that once confronted with such a clause you should not give up immediately. It may happen that the exoneration clause in the particular may not be invoked. In situations where intentional act and (gross) negligence are involved, it has been generally acknowledged that the exonerations cannot be relied upon. It may sound a bit like a cliché but the question whether or not an exoneration can be invoked depends on the individual facts and circumstances of the specific case. Important is inter alia the manner in which the exoneration clause has been agreed upon and whether you were aware of its existence in the contractual relation. Additionally, many other circumstances may play a role as well. A legal counsel could make an assessment on the enforceability of the exoneration clause in a specific case. liability. On the other hand you may be able to mitigate this risk to a certain extent securing an insurance that provides for sufficient coverage. Furthermore, it is also advisable to arrange insurance to cover costs and expenses of legal aid in the event no compromise is possible with your counterpart and you are forced to litigate the case. In this article we merely discussed the general principles of the liability laws to give you a good overview of how complex this matter is. It may again sound like a cliché, but your juridical position is shaped by the individual circumstances of your individual case. It is therefore advisable to timely seek legal advice on your juridical position.